I'm so into decorating my planner that I forget that other people don't do it. So I thought it was right time to get some non-believers on board with some really simple reasons as to why you should try planner decorating. It's a very visual way to tackle to do lists if you happen to be a very visual person like me. There's just something about having a cute little vacuum sticker or colorful list that helps me remember and feel more inspired to get things done. You'll want to spend time with your planner whether you're decorating it, planning out future spreads, or crossing things off the to do lists. Your spreads will be so dang pretty you'll want to tote your planner around everywhere to show it off. You won't forget events as easily because you'll remember the process of putting down a specific sticker. After I do my layouts I can almost remember exactly where in my spread I put down the specific sticker for an event even if I don't have my planner with me. It's helped my so much to note overbook myself too! It's like a daily scrapbook you can look back on, add photos in, and remember big moments in your life. It's super fun. No one in their right mind would be like, "ew stickers are boring." You'll join a super active community of lovely people who will inspire you, push you to become more organized, and keep the addiction alive. So if you haven't popped a few stickers in your planner yet, definitely give it a go. 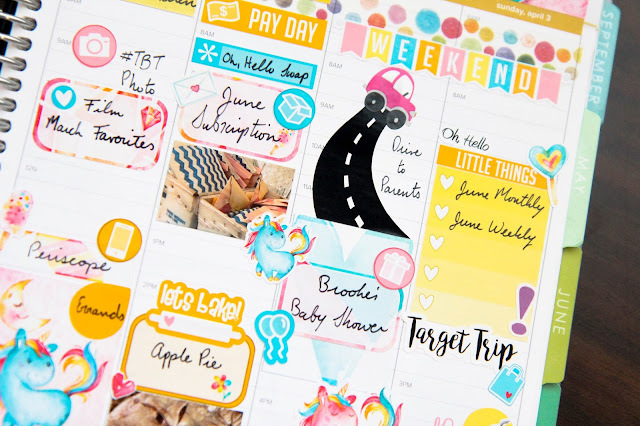 You don't have to dive head first in if you aren't sure, but add a few little things here and there and you'll find that you're loving your planner a little bit more than before. Have you tried planner decorating yet?